Performance matters with any kind of car you drive, especially with a compact performance sport utility vehicle. One of the highest performance SUVs in its class today is the Jaguar E-PACE. What is it about the Jaguar E-PACE that makes it perform so well on the road? For one thing, it comes with an all-wheel-drive system that keeps torque evenly balanced between the axles and tires. Another thing that not only helps it outperform others like it but can help prevent an accident is its All Surface Progress Control. This helps you keep from losing control of the vehicle in a situation where traction becomes a problem because of weather or terrain issues. Has this made you want to learn more about the Jaguar E-PACE? 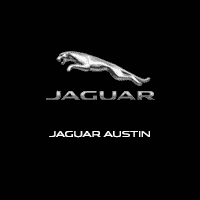 If so, then give us a call at Jaguar Austin, where we will be pleased to help you get to know it for yourself.